Shed some light on this new promotion! 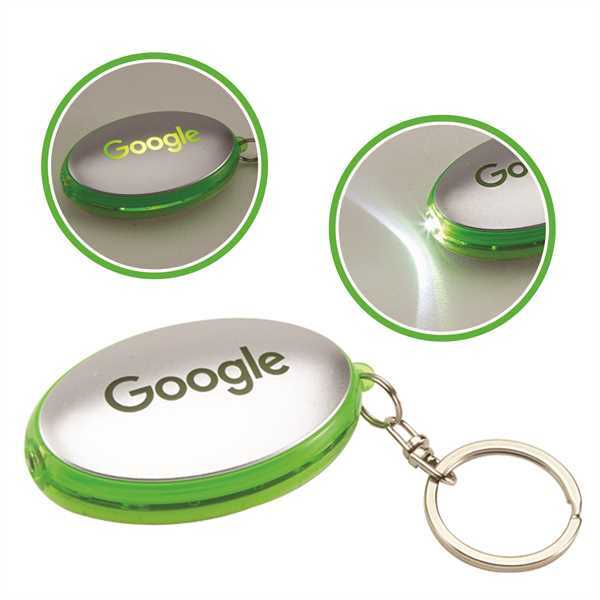 Measuring 1 1/2" x 2 1/4" x 1/2", this illuminated key light is made of plastic and features translucent plastic side accents, a split metal key ring attachment and with a simple squeeze, you'll activate the bright light with two light up modes. Add a brand name, logo, event title or marketing message using our laser engraving process. This handy product is an ideal choice for car dealerships, product launches, corporate events, tradeshow giveaway and more! Size: 1 1/2 " x 2 1/4 " x 1/2 "